If ever there was proof that digital technologies have changed the world, it's the videos shared online of babies attempting to swipe a magazine like they would a smartphone or tablet. Perplexed by the fact that these pictures don't move when you touch them, these clips illustrate that `digital natives' are being brought up in connected, smart, mobile environments. For businesses, these tech-centric consumers, and potential future employees, present a wide range of opportunities, and an equally broad variety of challenges. Digitalisation offers businesses new avenues to reach their clients, says Lorraine Steyn, CEO of Khanyisa Real Systems. "We can easily remind a client to renew a contract, or come in for a medical check-up, or pay a bill." For employees, these devices and this increased connectivity provide exciting new ways of doing business and are essential to attract and retain talented employees. "The digital world is bringing with it incredible opportunities for innovation and doing business in new and exciting ways," notes Lushen Padayachi, head of Security for BT Africa, Middle East and India. "Yet it is not only technology that is driving this, but also the people inside businesses who are using devices in very different ways, which has significant potential benefits for the business," he continues. In order for businesses to effectively and safely embrace enterprise mobility, giving all of these devices access to business networks must be done in a controlled, well-managed and secure way. Myriad Connect's GM, Fabien Delanaud, agrees. While he acknowledges the incredible potential of mobility in the workplace, he cautions that the mobile enterprise will only be successful if effectively managed and monitored by IT teams. Their role is to ensure that the use of mobile tools and resources properly aligns with business objectives. "Mobile in the enterprise is helping drive business transformation by improving efficiencies, increasing productivity, driving down the cost of operation and enabling real-time access to information anywhere, at any time." It's about striking the right balance between meeting demand for mobility within the enterprise, while still protecting the business' core data assets, adds Padayachi. When deploying a digital strategy, businesses need to adapt a far more proactive approach to cyber-security. Business security controls must protect all employees, as well as the sensitive data that they access, across a seemingly plethora of locations, devices and content types, says Padayachi. "In today's ever increasingly connected society, businesses can no longer afford to treat security as an isolated silo. The way forward lies in ensuring that security is central to delivering strategic goals of the company." Some businesses tackle this challenge by loading security software on every device, which may be a manageable strategy, but a device-centric approach to endpoint protection can be costly, administratively intensive to implement and resource-intensive to maintain. This is especially true when we consider how quickly new devices or app updates are launched, Padayachi continues. According to Riaan Badenhorst, MD at Kaspersky Lab Africa, the inherent risks of increased enterprise mobility lies in the fact that business is losing control and visibility of their information, much of which is stored on personal devices. Increased focus on security is essential because the company's sensitive information could be leaked or exposed to the wrong people should anything happen to these personal devices. "Organisations need to understand that threats from within the organisation are as important as those from outside. While BYOD not only offers more platforms to manage, the average employee is now using two or three different mobile devices to access the corporate network - and this means increased exposure for a business." Millennials are attracted by different ways of working. When it comes to developing the right enterprise mobility policy to match business needs, it's critical to hear what users want, understand the risks and then decide whether certain apps and technologies are suitable for your organisation or not, says Kyle Woolf, CEO of Saicom Voice Services. "Business has to change its mindset to embrace a mobile workforce and provide the tools for staff to do their jobs wherever they are and at whatever time they choose to." Gartner states that by 2018, 50% of users in any company - many of them Millennials - will be smartphone or tablet users. Historically, employees had to be physically present in the office to get their jobs done. Now, through mobile connectivity, employees demand more flexible working hours and ways of working, notes Henda Edwardes, executive head of communication solutions at Vox. "Millennials are attracted by different ways of working, rather than the traditional nine to five of going into an office type of job. 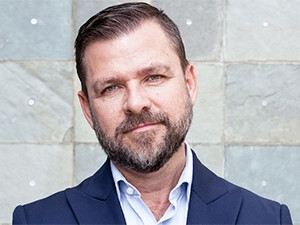 They prefer flexibility, trust, and the freedom to work anywhere and at any time as long as they fulfil the task," adds the executive head of Managed Enterprise Mobility at Vodacom Business, Anthon Muller. But this flexibility should promote productivity, not hinder it. Cassie Lessing, MD of Strato IT Group, shares this sentiment. Millennials working in mobile enterprises need to be measured on their output rather than their specific activity at a given point in time. "If the correct deliverables and timeframes are established and the right measurements are put in place, then productivity should not suffer." In fact, the changing face of work, when correctly implemented and monitored, may actually boost overall productivity. But Steyn contests that these new approaches to enterprise mobility do not only appeal to Millennials - they increasingly appeal to all modern employees. "Are Millennial employees really that different to all employees? We all want convenience, timeliness of access to information and to be respected. The same mind set that will make your customer delighted by your service should be applied to your employees. Richard Branson said it best: 'Look after your staff, and they'll look after your customers'." For Drew van Vuuren, DPO at ESET SA, education of the user is the most important aspect of the implementation of an enterprise mobility strategy. Proper change management allows for a seamless integration of mobility technologies, and associated controls, into the enterprise. Once changes have happened on a technical level, the more difficult task of educating the user on the etiquette of mobility use will present itself, he notes. Educating the user on how to use the device, if the knowledge does not exist. Explaining to the user what is and isn't permitted on the device in the context of applications and sites. Fielding support calls when a user expects a device to perform a specific function and it doesn't. Managing remote wiping or locking requirement if a device is lost or stolen. Restoring access to a device if the user locks it after violation of the MDM policy. Through education and awareness, the company can have a headache-free introduction of mobile, states Van Vuuren. "Users will accept the restrictions on the use of the devices if the communication of the mobility strategy is done in a clear and concise manner." Part and parcel of embracing the enterprise mobility trend is developing and implementing detailed use policies. "Companies allowing their employees the use of mobile devices in the work environment should have a mobile device management policy in place to protect the security and integrity of the company and its data," says Henda Edwardes, from Vox. "These policies are there to outline acceptable use of personal devices when at work and define the specific devices or apps that support or contribute to the business. However, every company needs to reserve the right to revoke these privileges if employees do not abide by the policies in place." As is the case with anything in life, balance is key. Should these policies be too restrictive, they'll simply counteract the benefits of mobility. And should the policies be too lax, there is a high chance that security will be compromised. "Any activity performed on a company's IT environment should be done with the necessary care and diligence, with the understanding that the environment is the property of the company," Edwardes adds. And employees must understand that any malicious or negligent behaviour will be dealt with according to the company's HR policies. For Routed director Malcolm Siegel, the enterpise mobility debate is a risk/reward conversation, the obvious reward being that employees get their `device' of choice and are happy to use it on corporate networks. The obvious risks include a loss of control and possible exposure of sensitive corporate data, which demands greater diligence from business IT. Of course this will add to IT's workload, but without proper enterprise mobility policies, the results could be an even greater administrative nightmare. The trick is to identify, and mitigate, the risks to successfully maximise the rewards. "I think mobility should be embraced - the idea of having employees using the latest and greatest tech is great, but only when aligned with some hard and soft boundries," he notes. "Facebook, Twitter, Google, YouTube, Vimeo, etc. are distracting, but if one has a proper balance between work and play, then there is no reason why it would need to be a distraction. Proper boundries and rules and regulations should cater for this." As customers become more mobile, businesses need to respond. Did you know that customers are more loyal to brands to support them in their demands? Customers want to be able to get what they want in their immediate contexts and moments of need. Most frequently, this means that they are using mobile devices. According to Forrester's 2016 State Of Enterprise Worker Mobility Study, making the shift to successfully meet customer needs goes beyond creating a customer app or optimising your website for mobile. "Shifted companies transform their employee tools and processes so their workers can be more productive and engage customers in their mobile moments." The study cites employee mobility as an essential element of meeting customer needs. In order to better understand the dynamics of mobility in the workplace, the market research company has created the Employee Mobile Mind Shift Index. Mobile Intensity: This focuses on how engaged employees are with mobile devices for work. Intensity is also determined by how frequently they use mobile devices and if they use these tools both inside and outside the office. High-intensity employees use mobile devices in every aspect of their work and will be comfortable should new tools and technologies be introduced. Mobile Expectation: A measure that deals with how well the company's digital offerings, mobile devices and resources align with worker expectations for what mobile tools they need to get their jobs done. Mobile Expectation juxtaposes the company's expectations around employee use of mobile tools at work with the employee's expectations that the company will provide them with the tools they need. Mobile Behaviour: Mobile Behaviour assesses how employees are already using mobile tools, today. Perhaps they're using online storage tools or collaboration platforms? Maybe their mobile device is their primary device for video conferencing? This article was first published in the June 2017 edition of ITWeb Brainstorm magazine. To read more, go to the Brainstorm website.